In the big city, we don’t get to marvel at the starry sky, the Milky Way, or the Northern Lights - all of which have historically inspired humans and given us perspective on science, religion, philosophy, arts, and literature. A dark, inspirational sky is our universal heritage, and it’s being lost at a rapid rate, all around the world. Light pollution is the culprit for our diminished dark sky. Light pollution is the excessive use of lighting, increasing ambient light levels, leading to an orange glow above our city. All bright, poorly directed light adds to the pollution. This pollution can adversely affect our health and even lead to sleep disturbance and depression. Light pollution has many harmful effects on wildlife too. Animals, and even plants, rely on the natural cycle of light and dark to cue critical behaviours such as reproduction, feeding, sleep, and predator avoidance. Bright lights have negatively affected frogs and toads in city wetlands, by disrupting their nocturnal croaking display, resulting in less procreation and ultimately smaller populations. Birds who migrate at night use the moon and stars to navigate. Unfortunately, these birds are drawn towards light polluted areas, veering off course and entering large cities. This increases their chance of colliding with a tall building, which happens to millions of birds each year. Predators can use excess light to gain advantage over their prey. I had a spider strategically weave its web in front of my porch light, reaping the rewards of insects lured in. Many insects even die from the lights that attract them. 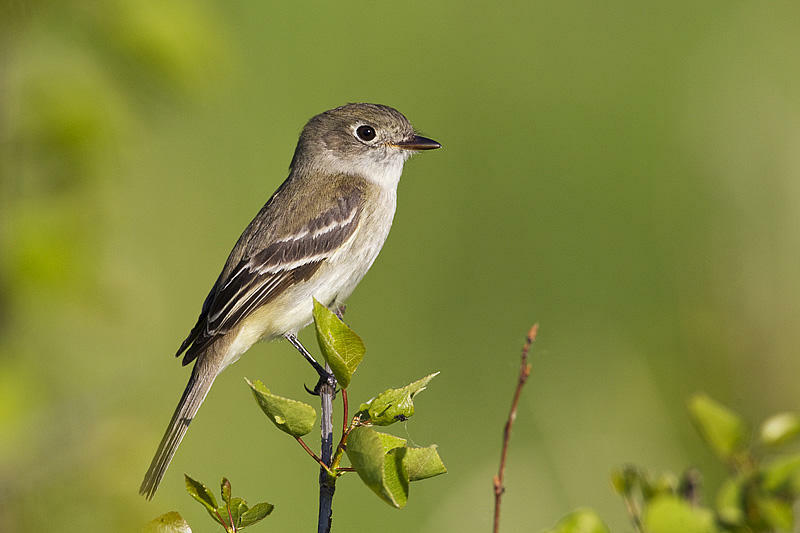 While this may seem like a minuscule problem, and beneficial to some (like that spider), the loss of insects on a larger scale affects animals who rely on insects for food, like flycatcher birds, many of which have declining populations in North America. Luckily, there’s a solution to this problem, and we can each do our part to make a difference. On a city-wide scale, this is a daunting task, but starting with our everyday lives will lead the way to influencing others and changing the world. Completely shielding your outdoor lights will direct the light to the ground, which is where it is needed, and this allows you to use a lower wattage bulb for lighting. Using timers or motion sensors will also help reduce light pollution, and decrease your power bill. Visit darksky.org for more information on efficient lighting products. Effective use of lighting actually improves visibility, reduces your power consumption, and minimizes your carbon footprint by producing less greenhouse gases. Using well-directed, low wattage light, both lights the ground uniformly, and creates a darker sky, allowing us to marvel at the dreamy stars and dancing Northern Lights. Did you know that we have a Dark Sky Preserve – an area established to reduce light pollution, increase the visibility of the night sky, and benefit all life – just east of Edmonton? It’s the Beaver Hills UNESCO Biosphere Reserve spanning over 1,500 square kilometers, including Elk Island National Park, and the Edmonton and Area Land Trust’s natural areas: Golden Ranches, Hicks, Smith Blackburn Homestead, and Ministik. You can find more information about these natural areas, including directions to each, on our website at www.ealt.ca.